Amid tightening budgets and the pressures of Common Core standards, teachers are always looking for ways to better connect with and educate students—but the next big tool in their ever-evolving bag of tricks might surprise you. It’s Minecraft. Yes, that Minecraft: the game that lets you slay explosive creatures with makeshift weapons and concoct towering structures with tiny blocks. Mojang and Microsoft’s smash sandbox—a chunky 3D building and survival simulation with few objectives or limitations—has already sold more than 106 million copies across computers, smartphones, consoles, and tablets. How can a game like that help schools? It’s not meant as a playground or distraction, but used smartly and sparingly, it spices up rote lessons and engages students by utilizing a space they already know and love. Some teachers are already onboard, and a previous indie initiative has given way to Microsoft’s own expanded Minecraft: Education Edition, which arrives on November 1 with classroom-friendly tweaks to keep children focused on the tasks at hand. 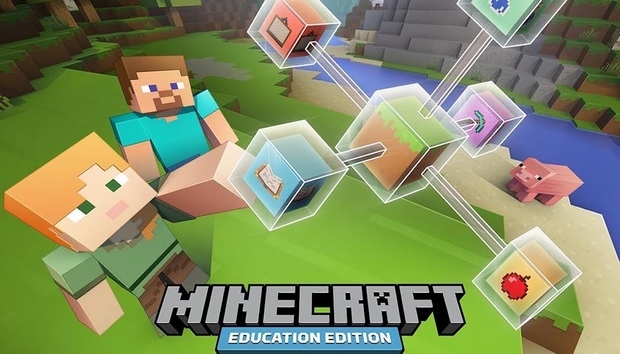 Minecraft’s foray into education began with MinecraftEdu, which launched in 2011 after teacher Joel Levin and partner Santeri Koivisto saw the instructional possibilities and secured a license from Mojang. Microsoft acquired Mojang and the Minecraft franchise for $2.5 billion in September 2014, and soon began talking with Koivisto’s TeacherGaming LLC about MinecraftEdu’s future. Microsoft’s Education Edition has a new in-game camera to help kids capture their work (and have some fun with friends). Attempting to reach everyone else required some work, however. For the renamed and rebuilt Education Edition, announced in January and available to teachers in a free open beta since July, Microsoft made it easier for schools to purchase licenses and securely log into the software via its Office 365 Education platform. Further tweaks include a new Classroom Mode management tool for teachers, a simplified process for importing worlds, and an in-game camera and portfolio for charting progress over time and exporting snapshots. Minecraft can’t replace traditional instruction, obviously, but it can support many subjects in a school’s curriculum. The malleable game worlds let students and teachers create and collaborate as they learn about and/or apply knowledge related to science, history, math, art, and more. Its building blocks can be harnessed in many different ways, allowing students to interact with and understand concepts in an engrossing new format. Imagine learning seventh-grade history by exploring an elaborate medieval civilization in Minecraft. John Miller, a history teacher at Chalone Peaks Middle School in King City, California, crafted that unique experience for 150 of his students earlier this year. Selected students from an elective class helped construct a Minecraft recreation of 14th-century Birmingham, England, while a colleague created story prompts to help drive the learning process. A part of the Birmingham recreation that John Miller’s classes used for their medieval simulation. From there, Miller used the game and narrative threads to immerse students in concepts like feudalism, class structures, agriculture, and the role of the church as the plague rolled in. Across 10 class periods, the kids lived peasants’ lives in Minecraft, trying to survive while interacting with fellow students—and ultimately, seeking a cure for their afflictions in a thrilling finale. Each student then penned a story about his or her own experiences in the simulation. He’s not the only educator to notice that kids are deeply motivated when using Minecraft to showcase skills and abilities. Steve Isaacs, a game design and development teacher at William Annin Middle School in Basking Ridge, New Jersey, has witnessed much the same in his own classes and when students use Minecraft for projects for other subjects. Instructor Steve Isaacs helps students with a Minecraft project at William Annin Middle School. Miller’s medieval simulation is one example in a growing stockpile of community-shared lessons, examples, blog posts, and video tutorials. Students can learn about weakened biodiversity, for example, as animals are removed from the ecosystem, or see the effects of climate change while practicing sustainable living and business practices. Minecraft can help kids grasp how fractions factor into everyday life, and let them craft elaborate Rube Goldberg physics machines not bound by classroom size or physical materials. It’s not just limited to STEM (science, technology, engineering, and math) subjects, either—even the arts benefit from Minecraft. Students can use pixel art to learn about the work of American painter Chuck Close, or recreate the style of Brutalist architecture, based on an example from the Royal Institute of British Architects and BlockWorks. Even poetry has a place: Miller designed a Minecraft lesson for a unit on Japanese poetry, tasking students with creating a visualized walkthrough of their own writing. Teachers can use these examples as a starting point, and modify or create lessons as needed. Middle school seems like a sweet spot for Minecraft between age level and content complexity, but older and younger students use it too. In the Lufkin Independent School District in Lufkin, Texas, high-school networking students learn how to manage Minecraft servers and modified content. Meanwhile, first and second-graders build to stimulate their own writing. The Education Edition has a detailed tutorial that imparts the basics, but many teachers might need it more than the kids. “This is an activity that we’ve traditionally done with physical blocks, but Minecraft offers not only a much cleaner solution but a more creative one—especially when kids include moving parts,” says Rafranz Davis, Lufkin’s Executive Director of Professional and Digital Learning. Lufkin is licensing the Education Edition for every student in her district, and they can access the game from home, as well (that’s optional; don’t anticipate Minecraft homework). Isaacs has seen in his own classroom that collaboration flourishes when students work together on Minecraft-aided assignments. Kids who are cautious in the classroom may also feel empowered in the game. Quarnstrom recalls observing a third-grade literature unit at an elementary school in Round Rock, Texas last year. One young girl seemed reluctant to participate as all of the kids shaped a fantasy storyline in the classroom, but when they went to the computer lab to bring the story’s setting to life, her demeanor sharply changed. Still, the Education Edition has its share of obstacles. Teachers’ schedules are already strained without asking them to learn and manage a computer game, although community support and shared plans can help. And there is resistance to bringing video games into learning environments, whether it’s from parents who worry about excessive screen time or from administrators who don’t understand the increasingly accepted value of games-based learning. Cost is also a huge factor: English teacher and Minecraft Mentor Simon Baddeley recently called for “urgent reconsideration” in the licensing model. However, teachers who use Minecraft in their curriculum claim real benefits, and students are responding enthusiastically. In fact, what convinced Davis and some reluctant principals in her East Texas district was an initial trial run with a club of at-risk students, which showed how motivational this learning game can be.